World leaders have made a lot of promises about saving babies and children from dying. But are they just empty promises? 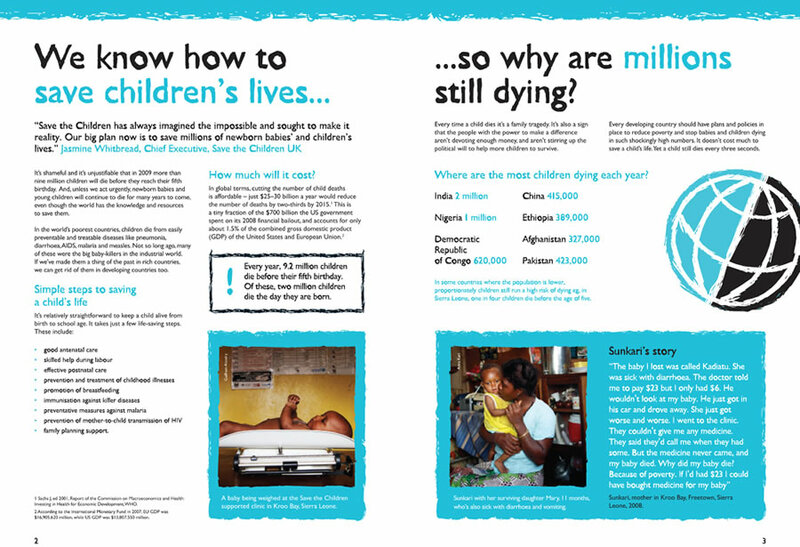 Save the Children wanted a new brochure to communicate the need for urgent action to governments, businesses, health professionals, policy advisers and campaign activists. Ogilvy 20:20 brought me on board to work on this project, together with Save the Children’s Brand Manager and Head of Communications. I had just over a week to write the copy, which had to strike the right note – direct, hard-hitting and inspirational – and encourage people to act. I enjoy working with charities to help them engage with key audiences and inspire action. Do get in touch if you work for a charity and would like to discuss a potential project.